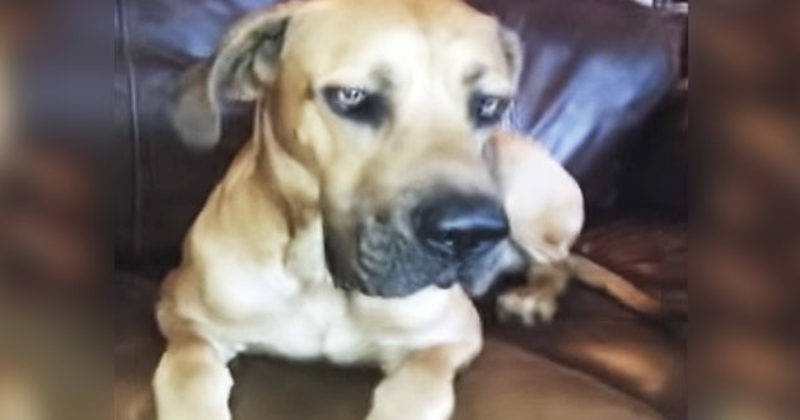 Guilty Dog Hilariously Tries To Hide A Sandwich In His Mouth Nice Try, Guy! If you’ve ever owned a dog, you know and understand that sometimes they attempt to steal some of your food. If it’s in clear view, it’s pretty much fair game — at least in their opinion. The instant you look away from whatever you are eating, an opportunistic dog will pounce on that delicious human food. If you think this is the only case of dogs squirreling food away in their mouths, think again! They may be man’s best friend, but they are also no-good scoundrels when it comes to getting their paws on some human noms.